Family support for opioid addiction is critical to both the individual suffering from opioid addiction and their family. Luckily, many options are available. Opioid abuse is a complicated and difficult problem that affects millions of Americans. Oftentimes, those closest to individuals suffering substance abuse struggle the most, and for numerous reasons. Family and friends uncomfortably watch their loved ones transform in harmful ways, lost to the grip of dangerous substances. Because of this, family members could benefit from support groups. Family members, coworkers, and friends witness the mind and body of their loved ones change. They endure difficult home situations where moods change. Trust and communication become compromised. Mothers may unfortunately lose daughters to the streets of the city. As she fuels an opioid habit, she also endangers her body, health and family relationships. Misunderstandings and arguments become normal methods of communication. Eventually, a happy home becomes a place of confusion, hopelessness, and despair. Family members with a loved one abusing drugs may feel alone and angry at themselves. They may also feel as if they have failed as a parent and seek reassurance in their suffering. Finding support is essential in understanding a family member’s drug abuse disorder, as is easing parents’ anxieties and frustrations. Support groups can allow parents to be vulnerable as they seek community in losing a child to opioid abuse. Therapists and addiction counselors often accompany support groups for healing. Lastly, family members can gain insight on coping with anxiety, shame, depression, and anger arising from a family member’s substance abuse disorder. 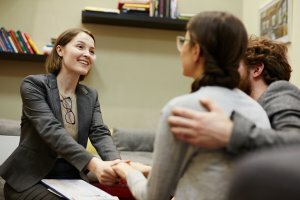 What to Expect in Family Support Groups? Similar to an intervention, support groups will have many people in one room sharing struggles with a family member’s substance abuse. Family members may reveal difficult stories and memories of seeing family members under the influence of an illicit substance. Additionally, there may be graphic, disturbing or tragic stories shared by some in the group. New members may be expected to open up and become comfortable speaking in front on several people, opening up about difficult topics. There is often privacy offered while engaging members in support groups. A major positive element of support groups is the feeling of community and safety. Families can be encouraged to practice forgiveness by expressing and releasing hard feelings (among other practices) to live a peaceful life. There are many available support groups for families with members addicted to opiates to ensure all families have several options. Some family support groups for parents include 12-Step practices for healing families who are depressed. Additionally, grief-centered support groups like GRASP (Grief Recovery after a Substance Passing) allow families to receive compassion if mourning a family member who has passed due to opioid overdose. 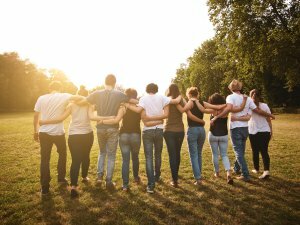 Parents of Addicted Loved Ones is an active group dedicated to providing peer groups, and Adult Children of Alcoholics combines 12-Step themes for treating trauma children have faced. Similar to the SMART program for people surviving substance abuse disorders, a program is available for families in need of support. The SMART (Smart Recovery Family and Friends) program for families in available in an online platform, or a face-to-face in group settings. PAL, Parents of Addicted Loved Ones was founded in 2006 and offers hope to parents and address issues like co-dependency. Support groups solely for siblings exist, spotlighting the strained relationships and focusing on repairing them. Online support groups are becoming an easily accessible way for people to gain support. Family members can also opt for this method if finding time to attend an on-site support groups is a challenge. Online support groups range from large to small in number and allow members community interaction and guidance or support. This method may benefit members who are uncomfortable with face-to-face vulnerability. Online support groups are available at different times for people with different schedules. • How often does the group meet per week? • What is the structure of this support group? • Does the group include spiritual of health-based coping mechanisms? • How long does each meeting last? • What are the financing options for each meeting (if necessary)? • How do you feel in terms of expression? • Do other members make it uncomfortable? • Are my concerns addressed? • How do you feel the facilitator addresses core issues? • Are members able to connect with privacy? • Is the information provided in each meeting effective? Groups can be held in offices, hospital rooms, online, or in a building shared by members of the community. Finding support is an important step in coping with a loved one’s substance abuse disorder, but what the struggling individual needs most is treatment. Contact a treatment expert today to find out more about what treatment options are available. You can discuss financing options, gain insight to options and get the healing necessary for your peace of mind.